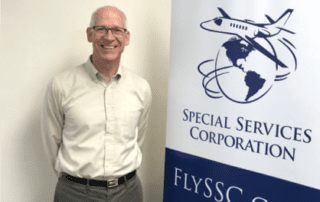 I highly recommend Special Services Corporation and enjoy working with them! I have taxied or had my aircraft towed over to SSC on several occasions when i am scheduled to leave on a tip. They have been able to do what’s necessary to quickly fix the problem and get me on my way. SSC is Excellent at solving problems. Trusting someone with such a large asset, and with the safety of ourselves and coworkers, requires a “bank account full of trust, and SSC has that with me. SSC was able to obtain the part and ship it less expensively than if i had purchased it locally. I know they will be thorough in their work, fair in their price, and the will offer more than once solution to any need that i have. I am Very Comfortable engaging SSC for charter services, and absolutely recommend their service to others. They helped tremendously and i was able to feel safe flying back home. We look forward to working with you on a customized plan to help your business reach new heights!